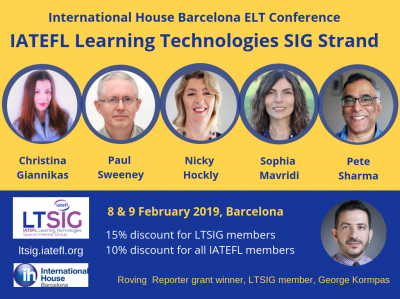 As part of our countdown to the International House Conference in Barcelona, which takes place on 8/9 February, this is the fourth of five posts which focus on the speakers on the LTSIG strand. The IATEFL Business English SIG and IATEFL Leadership and Management SIG will also be there. There is much hype surrounding the area of VR – Virtual Reality, and a great deal of excitement about its role in language teaching and learning. VR experiences come at three levels: low, mid and high-end. Experiences can be exhilarating or frustrating; motivating or de-motivating. This session aims to de-mystify the area for language teachers. Based on the Chapter on VR for the LT SIG publication ‘Digital Innovations in Language Learning’, the session draws on research, and updates teachers on the promise of VR in areas such as ESP (English for Special Purposes). The session includes a number of practical teaching ideas for using VR in the language teaching classroom. It will take place without headsets, and involves no avatars or voice-recognition software – just you and the presenter IRL (in real life)! 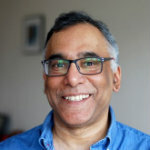 Pete Sharma is a training manager, consultant and ELT author. In summer, he works as a pre-sessional lecturer in EAP (English for Academic purposes) at Warwick University, UK. Pete is a well-known conference presenter. He was the Newsletter Editor of the IATEFL CALL Review (2008-2009) and has a Masters in Educational Technology and ELT from Manchester University.